Here’s a list of my notebooks and cool stuff about them. I actually have two kinds of notebooks. The first are from when I was in elementary school (5th grade) and the others are from now, when I’m in middle school. The elementary school books have a convoluted history. They were first published by a small local publisher, Tricycle Press. Then American Girl bought the backlist (the four titles already published) and reissued them, along with new books. After 15 or so books, the list was sold AGAIN, this time (and hopefully FINALLY) to Simon & Schuster, the current publisher of the Amelia books. 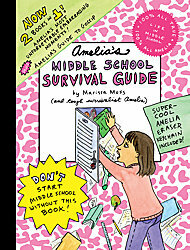 The new middle school books come from Simon & Schuster. The older titles are being re-released three or four per year. So if something is out of print now, be patient and it’ll come back into print eventually. 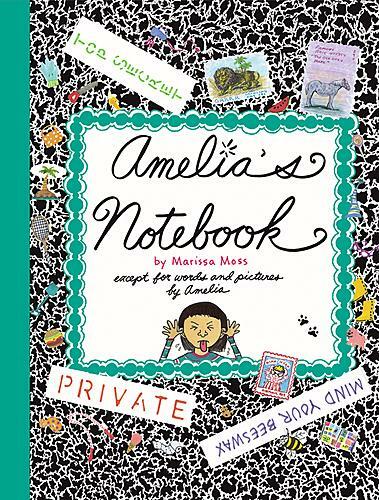 Want to read some pages from Amelia's notebook? Here are a couple that first appeared in American Girl Magazine, now available for your on-line reading! 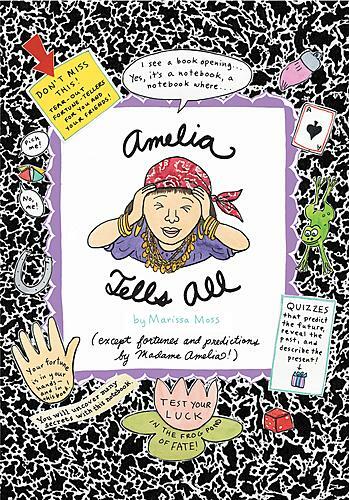 Amelia is excited to graduate from middle school, but she’s nervous about starting high school, especially when she finds out she won’t have her best friend, Carly, with her. 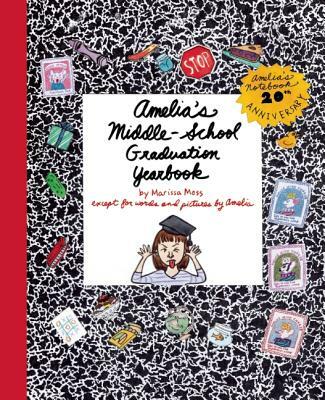 In her graduation yearbook, drawings and "photos" nostalgically recap her earlier years and notebooks as Amelia figures out how to face the changes ahead. 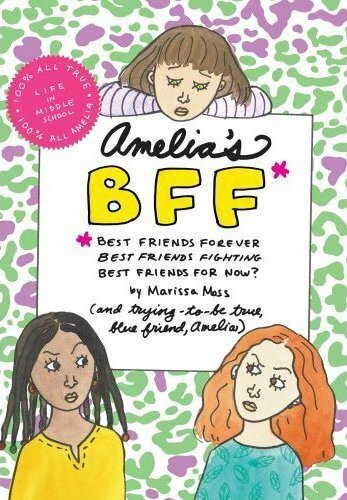 BFF dilemmas can be tricky, but it’s easy to make friends with these two irresistible Amelia stories, together in one book. 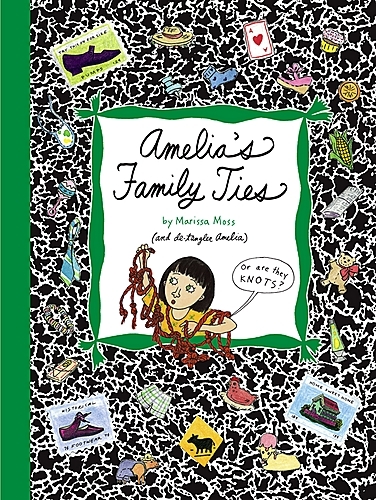 Two fantastic tales of friendship from Marissa Moss’s bestselling Amelia series are paired together in this bind-up. 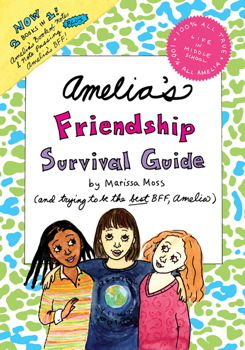 In "Amelia’s BFF", Amelia is excited for Nadia, her BFF from back in California, to meet Carly, her BFF in Oregon. But the two don’t hit it off at all, and Amelia is trapped in the middle. When your two best friends are warring, do you have to choose sides? 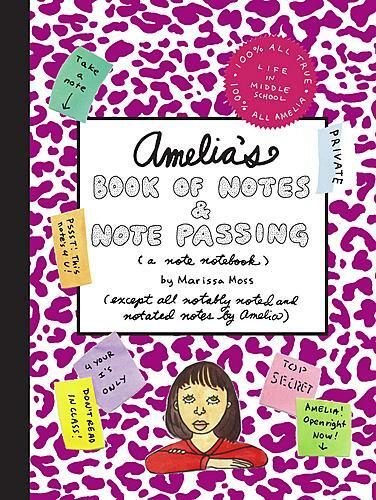 And in "Amelia’s Book of Notes & Note Passing", Amelia is upset when a stylish new girl, Maxine, starts hanging out with Carlie—and mysterious notes start appearing in Amelia’s locker. Is Maxine after her BFF? 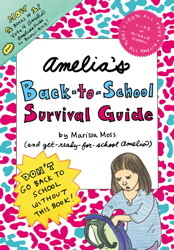 Don’t go back to school without Amelia’s guidance-two favorite titles in one great book! Two popular titles from Marissa Moss’s bestselling Amelia series join together in one fantastic bind-up. 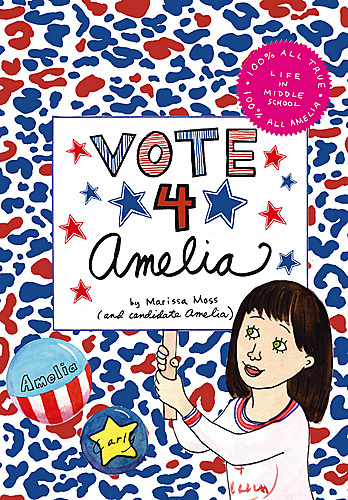 In Vote 4 Amelia, a passion for politics turns into a battle for justice when an opponent spreads lies, and it’s up to Amelia to save her friend’s reputation-and the class elections. And in Amelia’s Guide to Babysitting, Amelia and Carly decide to start a babysitting service, and when they meet their first charges, they realize they are in for quite an adventure! 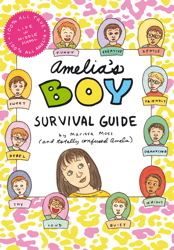 Boys enter the picture in this all-new addition to the perennially popular Amelia series. Amelia can’t believe eighth grade is finally here! She knows this will be the most exciting year yet for her and her best friend, Carly. But a lot of the other girls are thinking about one thing, and one thing only: boys. Amelia has never wanted a boyfriend. Crushes are for the silly girls who are always fixing their hair and thinking about shopping and what to wear next... right? But when a nice boy named Gerald appears in her class, Amelia thinks she might like to go to the school dance with him. It would be fun to have someone to dance with-but can she work up the nerve to ask him? What if he says no? Is the possible reward worth the risk? 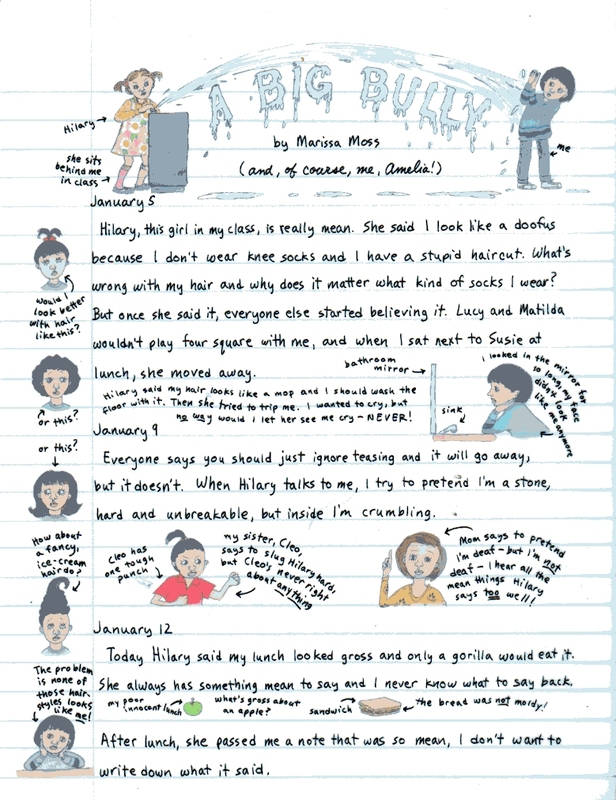 There’s only one way to find out... Once again, Marissa Moss tells a tale of wisdom gained in the humorous and human way that has earned her millions of loyal readers. 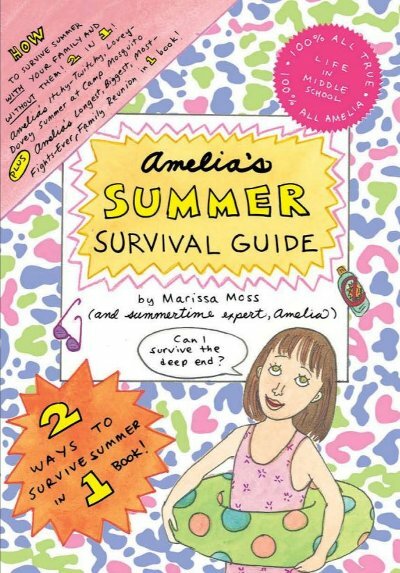 How to survive summer with your family and without them! 2 in 1! 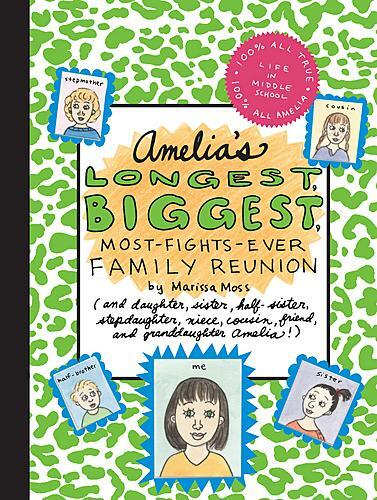 Amelia’s itchy-Twitchy, Lovey-Dovey Summer at Camp Mosquito plus Amelia’s Longest Bigest, Most-Fights-Ever, Family Reunon in one book! Amelia is torn between Nadia, her old BFF and Carly, her new BFF. How do you choose between your two best friends? 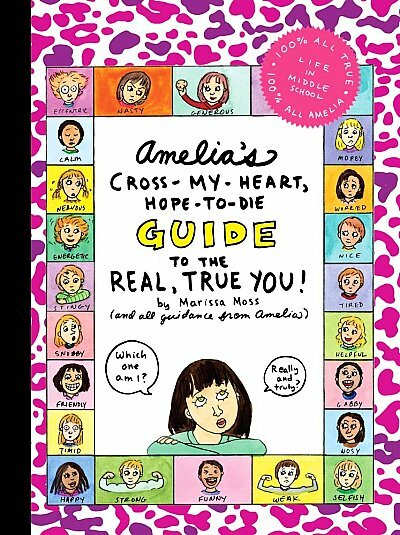 Amelia’s Cross-My-Heart, Hope-to-Die Guide to the Real, True You! 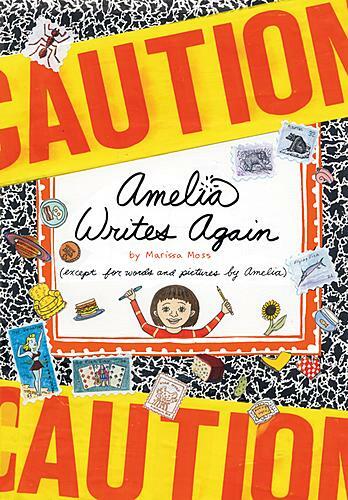 A Note from the Author - Amelia! Have you ever wondered how other people see you? Have you ever been confused about how you see yourself? Then this book is for you - a sure-fire way to discover the one-and-only real, true you!" Now you can get two books in one -- that's double the fun! A Note from the Author: Group projects are always a challenge. Group projects for the science fair are even worse. And when one of your partners turns out to be someone you really can't trust, there's bound to be a major disaster! 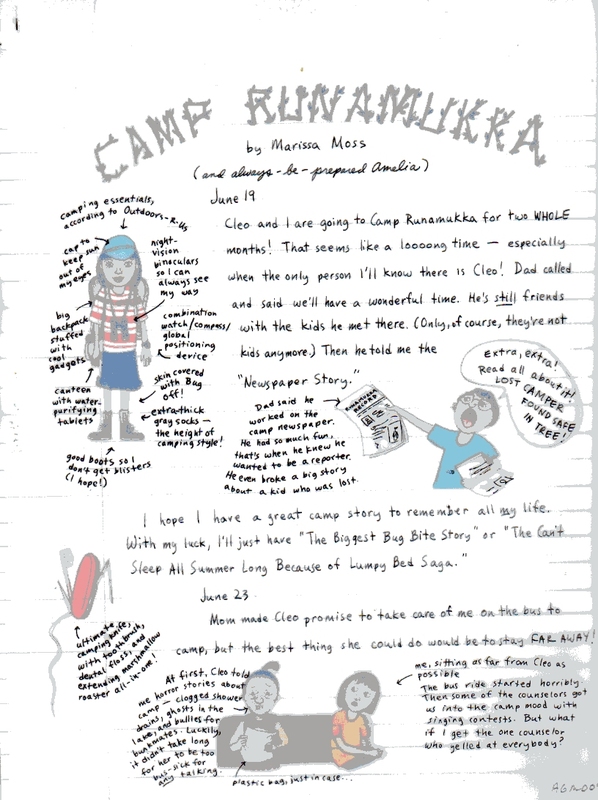 A Note from the Author -- Amelia: There are bad things about camp -- slimy showers, lumpy oatmeal, and hordes of mosquitoes. Plus my annoying older sister, Cleo. But there are good things too -- s'mores, campfires, the great outdoors, and one really cute guy. Middle-schooler Amelia is running for student-body secretary while her friend Carly runs for president. The campaign is fierce and includes a bathrobe-wearing boy with the big idea to delay the school start time and another who hands out free candy for votes. The race turns ugly near the end, with half-truths and rumors affecting the final outcome. 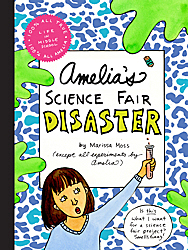 Amelia learns a lesson about how elections are unfortunately sometimes won and lost. Like others in the series, this notebook is laced with entertaining commentary and clever cartoon illustrations. It's another winner an already popular series and includes an important moral about modern life. 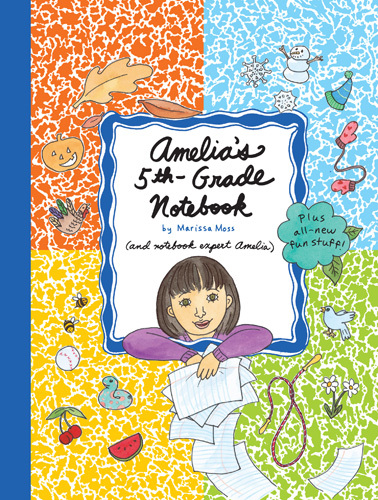 Amelia and her notebook are back. She has finally written to her father, whom she has never met, and received a reply asking her to come meet him, her stepmother, and her half-brother at their home in Chicago. This is a big step for any child, but Amelia, feisty as ever, takes the plunge. She predictably loves baby George, hates Clara, and is unsure about her father until he finally says he's loved her all along. 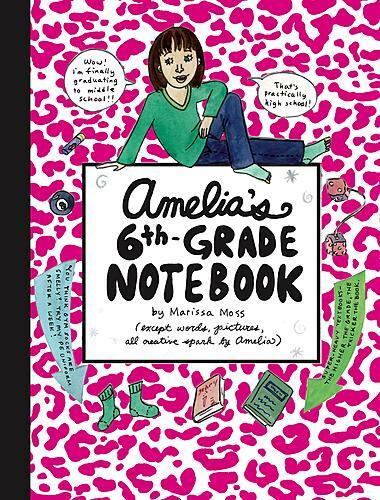 However, Moss does not candy coat the situation; she allows Amelia to voice her insecurities about what it means to have a father, to be angry at Clara for reading her notebook, to feel uncute in comparison to George, and even to think her dad's hairy hands are gross. The author once again has her finger on the pulse of her audience, who will appreciate Amelia's honest expression of her feelings. The text is handwritten and colorful line drawings decorate the pages. Does your handwriting reveal your true personality? What does your messy room say about you? 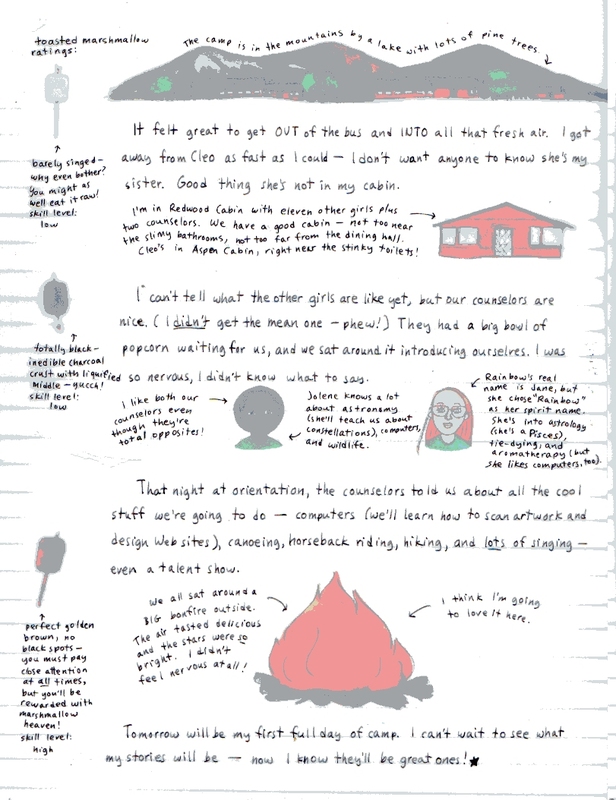 To answer these questions and more, gaze into Amelia's notebook to discover what the future may hold for you. PLUS: Share the good fortune with your friends -- just tear out the fortune-tellers included inside! The new girl, Charisse, seems so perfect that Amelia wants to be just like her. 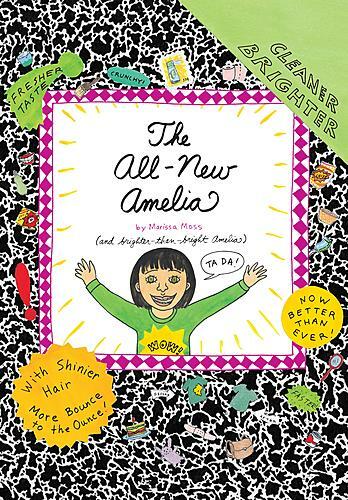 Can Amelia's friends help Amelia realize that she is perfect just as she is? 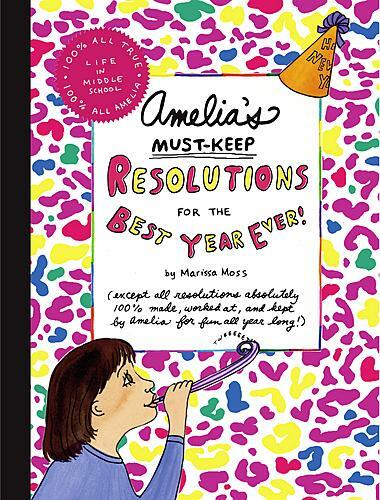 Join Amelia on a year full of fifth-grade adventures, from stealing the show in the Thanksgiving play, to unravelling a Valentine's mystery, to being a junior bridesmaid! 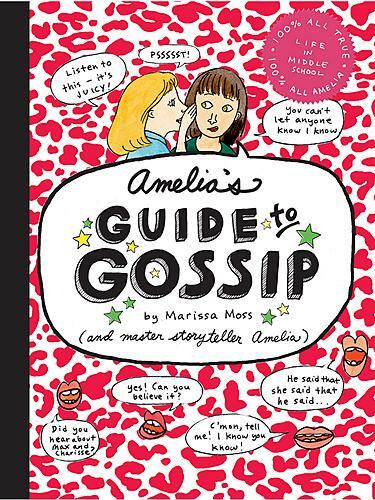 Can Amelia keep a friend and her deepest secrets at the same time? 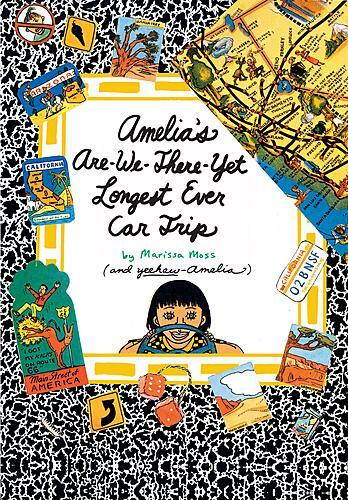 When Amelia and her big sister, Cleo, are stuck together in the backseat of a car for a family road trip, there are fights, plenty of sights, and Amelia's best friend, Nadia, at the end of the road! 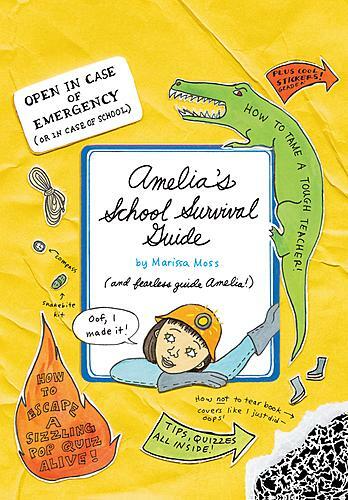 School can be hazardous to your health, but not when you have Amelia's tips for surviving homework, teachers,and even cafeteria food! 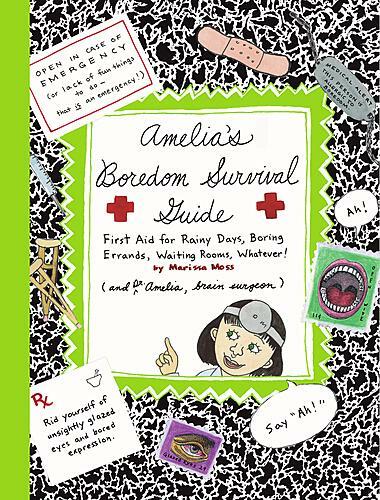 Amelia’s Boredom Survival Guide: First Aid for Rainy Days, Boring Errands, Waiting Rooms, Whatever! While waiting for her sister's medical appointment, a bored Amelia creates a handwritten book of fifty suggestions for passing the time. 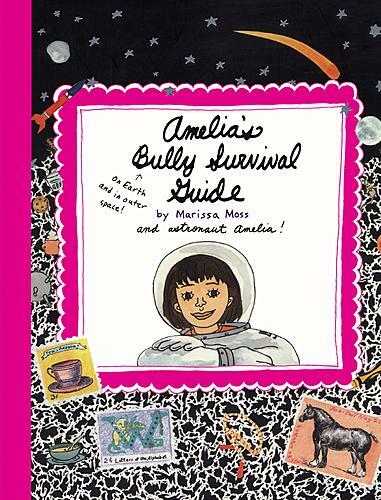 As if science class isn't enough to deal with -- now Amelia has the class bully to face. But Amelia isn't going to let that get her down.